By posology (from the Greek, posos, how much) we mean the science or doctrine of dosage. Small doses and homœopathy are commonly regarded as synonymous terms. If they who have such an idea of it are favorably inclined toward homœopathy, it is as likely to be because they have heard that the medicines are “pleasant to take” as for any other reason. While such an impression, taken with what, it involves, is not altogether undesirable, it is to be regretted that a broader basis of judgment has not been furnished by those whose duty it is to instruct the public in the principles of homœopathy. Had this been done such a juvenile conception would not exist, and homœopathy would be more widely appreciated. It is not to be denied that the subject of the dose in homœopathy is a very important one. The three essential elements of the system are the principle, the remedy and the dose; -and the three are of equal importance. Posology, and the related subject of Potentiation were the subjects of so much misunderstanding, discussion and controversy in the early – days of homœopathy that the profession, after being divided into two opposing camps grew tired of the subject. It came to be regarded as a kind of “Gordian Knot,” to be cut by each individual as best he could with the instrument at his disposal. Hahnemann himself at one time, almost in despair of ever being able to bring his followers to an agreement on the subject, cut the knot by proposing to treat all cases with the thirtieth potency. Following this suggestion others tacitly adopted a dosage confined to one, or a very limited range of potencies. The materialistically minded restricted themselves to the crude tinctures and triturations, or the very low dilutions, ranging from 1x to 6x. Others ranged from the third to the thirtieth potencies, while another small class of metaphysical tendency used only the very high potencies, ranging. from the two hundredth to the millionth, each according to his personal predilection. Such a state of affairs is unfortunate. Assuming that there is a difference in the action of the various doses of medicines, and that a series of potencies or preparations of the different medicines has been available for use; it follows that the entire series should be open to every practitioner, and that each man should be competent, willing and ready to use any potency or preparation of the remedy indicated in a given case, without prejudice. If he confines himself to one or two potencies, be they low, medium, or high, he is limiting his own usefulness and depriving his patient of valuable means of relief and cure. Under homœopathic principles any potency may be required in any case. It is as unreasonable to expect to cure all cases with any two or three potencies as it is to expect to cure all cases with any two or three remedies. In either case, those who follow such a course are governed more by the love of ease and their prejudices than they are by their desire for efficiency. The selection of the dose is as much an integral part of the process of making a homœopathic prescription as the selection of the remedy, and often quite as important. A well selected remedy may fail utterly, or even do injury, because of wrong dosage. Dose as well as remedy must be adjusted to the patient’s need. The homœopathic doctrine of dosage, like the law of cure, was based upon the discovery of the opposite action of large and small doses of medicine. It is another application it medicine of, the Law of Mutual Action – the third Newtonian law of motion – “Action and Reaction are Equal and Opposite.” Every one at all acquainted with the action of drugs knows, for example, that Ipecac in large doses causes nausea and vomiting and in small doses, under certain conditions, will cure the same; that Opium in large doses will cause a deep sleep or narcosis, arid in small doses, under certain, conditions, will cure the same. It is necessary to a clear understanding of the subject that a distinction be made between three terms, physiological, therapeutic, and pathogenetic, used by the two schools of medicine to express the nature of the action of the drugs. There is a demoralizing tendency even in the homœopathic school to use these terms without discrimination. The word “physiological” as currently used in medicine in relation to drug action and dosage is misleading and inaccurate, The Word has a reassuring sound, pleasantly suggestive of something normal and healthy. Its use tends to obscure, or keep in the background, the fact that the kind of drug action so designated is essentially a toxic action and therefore really painful and injurious. The “physiological action” of a drug is not its therapeutic or curative action. It is exactly the opposite of a curative action., and is never employed in homœopathic practice for therapeutic purposes. The use of the word “physiological” in connection with drug action and drug dosage tends to mislead the unwary and justify the use of measures which would otherwise be regarded as illegitimate. In one word, is it a euphemism. Inasmuch as the action of the ‘.’physiological” dose and the purpose for which it is given is avowedly to produce drug symptoms, in, a direct and positive manner, that fact should be clearly expressed in the name,’ in order that there may be no misunderstanding. The homœopathic school has recognized the wisdom and justice of taking this position, and has complied with the requirements of scientific accuracy in nomenclature by the adoption and use of the word “pathogenetic” (Gr., pathos, suffering, and genesis origin, “producing suffering”) as properly describing the character of such drug action. The “suffering” of the organism produced by the drug is expressed in symptoms, which are the language of disease. In homœopathic parlance, therefore, these are termed “pathogenetic symptoms,” a term which is preferable because it is accurate and truthful. Therapeutic means curative, healing, alleviating. A pathogenetic action is never curative. The action of a drug may be pathogenetic (toxic), or therapeutic (curative), depending upon the size and strength of the dose, the susceptibility of the patient and the principle upon which it is given. In the homœopathic treatment of disease a drug is never given for its pathogenetic action. Pathogenetic doses may be given, however, for experimental purposes to a healthy person, in making what are called provings. In treating disease homeopathically the object is not to produce symptoms but to “remove them. By means of the similar remedy in the minimum dose it is possible to do this in a direct manner without producing symptoms. It is not necessary to resort to the indirect, antipathic or allopathic method of producing drug symptoms in one part to remove a disease of the same, or any other part, and therefore it is not necessary to use “physiological” or pathogenetic doses. The homœopathic cure is obtained without suffering, without the production of any drug symptoms, in a positive and direct manner, by the action of sub-physiological or sub-pathogenetic doses; in other words, by the minimum dose, which is a dose so small that it is not capable of producing symptoms when used therapeutically. Homœopathy requires that the therapeutic dose must be capable only of producing a slight temporary aggravation or intensification of already existing symptoms, never of producing new symptoms. Only the similar remedy, in the. smallest possible dose, is capable of bringing about this highly desirable result. By this means the patient’s strength and vitality are conserved, his suffering quickly reduced to the lowest possible degree and a true cure brought about, if the case has not passed beyond the curative stage. It is not to be understood that infinitesimal doses are not capable of producing symptoms in healthy susceptible persons; for that is not true. Infinitesimal doses will produce symptoms in certain highly sensitive persons, and many of our most valuable provings have been made with more or less highly potentiated medicines. Indeed, no remedy can be regarded as having been thoroughly proven until it has been proven in the potencies as well as in crude form. In ordinary usage a physiological dose means a dose of a drug, empirically selected, of sufficient quantity and strength to produce a definite, predetermined effect or group of symptoms. Practically it amounts to the maximum dose consistent with safety. A physiological dose of Atropine or Belladonna, for example, is one sufficient to produce dilatation of the pupils, dryness of the mucous membranes and flushing or turgescence of the skin. The action of the drug is carried to this point irrespective of any accessory symptoms that may be produced, or as to whether it is curative or otherwise. No other kind of action is looked for or expected and, as a rule, it is not recognized if it occurs. The intent is to produce a direct definite drug effect. That other effects not desired nor needed are produced incidentally, does not matter. They are left to take care of themselves, and it is not considered that they complicate or prejudice the case if they occur. In attempting to predetermine arbitrarily the size and strength of the physiological dose, allowance is made only for difference in the age of the patients, who are roughly divided into two classes, infants and adults. If a patient is unable to take the established or usual doses without serious results, it is considered to be a case. of idiosyncrasy or hypersensitiveness and some other drug is substituted. Unlike the homœopathic physician, the allopathic practitioner is not trained to observe the finer, more delicate action of drugs upon the living organism and he does not, therefore, recognize the symptoms expressing such actions when they occur. From this point of view such symptoms, so long as they are not serious, are of no importance and have no use. In considering the reasons why the dose of the medicine chosen homeopathically is necessarily smaller than the physiological dose of antipathic or allopathic prescription, we meet first the fact of organic resistance. Every living organism is endowed with an inherent, automatic power of reaction to stimuli. By means of this power the organism offers resistance to everything which tends to injure or destroy its integrity or disturb its normal functioning. Resistance is manifested by suffering pain, fever, inflammation, changed secretions and excretions, etc. This power is displayed when drugs are administered because drugs are inimical to health, in proportion to their power and the size of the dose. In order for a dissimilar drug to produce its so-called physiological effect, therefore, the dose must be large enough to overcome first, this bodily resistance; and second, to produce its characteristic symptoms. When the similar or homœopathic drug is administered in disease, little or no resistance is encountered because the sphere of its action has already been invaded and its resistance overcome by the similarly acting disease producing agent. The affected organs or tissues are open to attacks from without. Susceptibility to the similar drug is therefore greatly increased. The homœopathic drug acts upon the identical tracts involved in the disease process, in a manner similar to the action of the disease producing cause itself. In order that the suffering of the affected organs may pot be increased and the patient injured, a much smaller dose must be given. The homeopathic dose, therefore, is always a sub-physiological or sub-pathogenetic dose; that is, a dose so small as not to produce pathogenetic symptoms; for we desire, not to produce more symptoms, but only to remove and obliterate symptoms already existing. It must also be given in a dose so small, as not to produce a severe aggravation of the already existing symptoms. Another reason for the small dose lies in the fact that disease renders the affected parts abnormally sensitive, as we see in an inflamed eye, which is painfully sensitive to a degree of light to which it reacts, normally in health..
A third reason is that the homeopathic drug is always given singly, so that its action is complete and unmodified by other drugs. 1. The development of special virtues in medicine by a peculiar process of preparation, or potentiation. 2. The increased susceptibility to medicinal impression produced by disease. 3. The selection of the symptomatically similar remedy. They affirm and stand ready to demonstrate that an infinitesimal dose of medicine has power and that it acts as a force; but in order that the force should be medicinal, or curative, a condition of application is necessary; namely, that it be applied in accordance with the homœopathic law. Force, to be effective, must be supplied not only in proper amount, but in the proper direction and at the proper time. “How so? The smallest possible portion of a substance, is it not an integral part of the whole? Were it to be divided and redivided even to the limits of infinity, would there not still remain something,-something substantial, – a part of the whole, let it be ever so minute? What man in his senses would deny it? Hahnemann’s final views and practice in regard to the dose were arrived at gradually, through long years of careful experiment and observation; at first, even for some time after the promulgation of the law of similars and the method of practice based upon it, he used medicines in material doses and in the usual form. His discovery of the principle of potentiation came about gradually ashe experimented in the reduction of his doses, in order, to, arrive at a point where severe aggravations would not occur. Gradually, by experience, he learned that the latent powers of drugs were released or developed by trituration, dilution and succussion. Thus he arrived at his final conclusion that the proper dose is always the least possible dose which will effect a cure. Having now a general view of the principles underlying the question of the dose, and a general standard by which to test results, it is desirable to try to formulate some rules, based upon experience, to govern us in the selection of the proper dose for a particular case. The question seems more complex now than it was in Hahnemann’s day, but really it is not so. The same principle applies now as then. For the greater part of his life Hahnemann had only what we now call the lower potencies; namely from the first to the thirtieth; although in his later years he was enabled to procure and use some of the higher potencies. Bœnninghausen wrote that Hahnemann had repeatedly stated to him that he generally used the sixtieth dilution, and that he often used much higher ones with great satisfaction. Bœnninghausen also states that Hahnemann, in correspondence with him, was much interested in the experiments of Bœnninghausen and Gross with the high potencies and heartily Approved of the same. It was repeatedly stated that Hahnemann would deal with this subject in the forthcoming sixth edition of the Organon, a work which unfortunately never saw the light until 1922. Since Hahnemann’s day the potency makers have been busy and we now have potencies ranging up to the millionth centesimal, and ever higher. Men with the confidence, courage and zeal to experiment with these altitudinous preparations and publish their results have not been lacking. Physicians of unquestioned honesty, ability and experience have testified that, they obtained curative results from the use even of the very highest potencies. It is not just for us to question this testimony until we have put the matter to the test. In the light of experience and of recent revelations in other departments of science of the power of the infinitesimal, there is nothing inherently improbable about it, and it is unquestionably to our advantage to have as large an armamentarium as possible. The great bulk of the work of the profession, however, is done with the lower and medium potencies and these, if accurately prescribed and wisely managed, will give satisfactory results in the great majority of cases. The third, sixth, twelfth and thirtieth potencies with a set of the two hundredths to “top off with” gives a general working range. When the young practitioner can afford to add to these a set of BOERICKE & TAFEL’s hand made five hundredths and one thousandths, he will be well equipped indeed. The rest is “velvet;” but if anybody should offer him a set of Fincke’s, Swan’s or Skinner’s fifty thousandths and one hundred thousandths, he should not let his modesty nor his prejudices prevent him from accepting and trying them. Hundreds of practitioners, including the writer, have used them with great satisfaction. Choosing the Potency. – Now is there any teaching which will help us to choose the best potency for a given case? There is little teaching but many opinions. Practitioners who publicly boast of their liberality on this subject, will too often be found, on more intimate acquaintance, to practice an obstinate exclusivism in the use of some particular potency, generally a very low or a very high one; and to harshly criticize those who differ with them. This is unfortunate, because such practitioners undoubtedly deprive themselves and their patients of many agents of cure which are easily within their reach. 1. The susceptibility of the patient. 2. The seat of the disease. 3. The nature and intensity of the disease. 4. The stage and duration of the disease. 5. The previous treatment of the disease. Susceptibility of the Patient. – This is generally and rightly regarded as the most important guide in the selection of the dose. It is important to have some means of gauging, at least approximately, the susceptibility of a patient. Susceptibility to medicinal action is only a part or phase of the general susceptibility of the organism to all stimuli. By analogy, as well as by experience, we are led to a consideration of the main factors -which modify and express susceptibility in general. Susceptibility varies in different individuals according to age, temperament, constitution, habits, character of diseases and environment. The susceptibility of an individual to a remedy at, different times also varies. Idiosyncrasy may exist as a modifying factor. Homeopathicity must always be considered. The more similar the remedy, the more clearly and positively the symptoms of the patient take on the peculiar and characteristic form of the remedy, the greater the susceptibility to that remedy, and the higher the-potency required. The “Indefatigable Jahr” has very lucidly and beautifully illustrated this point. He remarks an essential difference between the action of the low and high potencies, which consists, not in their strength or weakness, but in the development of, the peculiarities of the remedy, as we rise in the scale of potencies. This is based on the well known fact that provings of the tincture and lowest potencies of a drug, -as a rule, produce only the more common. and general symptoms of the drug, not very sharply differentiated from other drugs of its class. It is in the provings of the medium and higher potencies that the special and peculiar character of the drug is revealed by its finer and most characteristic symptoms. Jahr illustrates this by a geometrical figure, consisting of a number of concentric circles, with radii drawn to represent remedies in different stages of potentiation. In the first to the third potency, as shown in the innermost circle where the radii he close together, similar or related remedies like Arn, Rhus, Bry and Sulph have a great many symptoms in common; but the higher they progress in the scale of potentiation the more the radii recede from each other, so that each appears more and more distinctly in its peculiar and characteristic features. All narcotics, like Bell, Stram or Opium, for example, in crude and massive doses act in a manner equally stupefying, causing death by apoplexy or paralysis; all drastics produce vomiting and purging, etc. It is only in small or potentiated doses that their most characteristic differences of action become apparent. “By continual diluting and succussing,” says Jahr, “remedies get neither stronger nor weaker, but their individual peculiarities become more and more developed;” in other words, their sphere of action is enlarged, as represented by the concentric circles. The practical bearing of this on the selection of the potency or dose, according to Jahr, is as follows: – In a given case, where the symptoms are not clearly developed and there is an absence or scarcity of characteristic features; or where two or three remedies seem about equally indicated, susceptibility and reaction may be regarded as low. We give, therefore, the remedy which seems most similar, in a low (third to twelfth) potency. But, when most symptoms of a case clearly indicate one remedy, whose characteristic symptoms correspond closely to the characteristic symptoms of the case, we give the high potencies – thirtieth, two hundredth, thousandth, or higher, according to the prescriber’s degree of confidence and the contents of his medicine case. We may slightly modify Jahr’s advice by suggesting; the clearer, and more Positively the finer, more peculiar and more characteristic symptoms of the remedy appear in a case, the higher the degree of susceptibility and the higher the potency. This rule covers more points of the requirements to be stated later than appears at first glance. The class of cases (to be described later) which require low potencies for their cure, do not as a rule present the finest and most characteristic shadings of symptoms which characterize the cases requiring high potencies, so that we may pretty safely judge the degree of susceptibility of the patient by the character and completeness of the symptoms. Allowance should be made, however, for the varying ability of examiners. One man, keen of perception, accurate, painstaking, conscientious and well trained, will see many things in a case which another not so endowed will fail to see. Susceptibility is Modified by Age. – Generally speaking, susceptibility is greatest in children and young, vigorous persons, and diminishes with age. Children are particularly sensitive during development, and the most sensitive organs are those which are being developed. Therefore the medicines which have a peculiar affinity for those organs should be given in the medium or higher potencies. Susceptibility is Modified by Constitution and Temperament. – The higher potencies are best adapted to sensitive persons of the nervous, sanguine or choleric temperament; to intelligent, intellectual persons, quick to act and react; to zealous and impulsive persons. Lower potencies and larger and more frequent doses correspond better to torpid and phlegmatic individuals, dull of comprehension and slow to act; to coarse fibered, sluggish individuals of gross habits; to those who possess great muscular power but who require a powerful stimulus to excite them. Such persons can take with seeming impunity large amounts of stimulants like whiskey, and show little effect from it. When ill they often require low potencies, or even sometimes, material doses. Susceptibility is Modified by Habit and Environment. – It is increased by intellectual occupation, by excitement of the imagination and emotions, by sedentary occupations, by long sleep, by an effeminate life. Such persons require high potencies. Susceptibility is Modified by Pathological Conditions. In certain terminal conditions the power of the organism to react, even to the indicated homœopathic remedy, may become so low that only material doses can arouse it. A common example of this is seen in certain terminal conditions of valvular heart disease, where Digitalis is the indicated remedy, but no effect is produced by any potency. The patient will respond, however, to tangible doses of the pure tincture or, a fresh infusion of Digitalis and sometimes make a good recovery from a condition that seems hopeless. Although such doses, judged only by their amount, might be regarded as “physiological” or pathogenetic doses, the nature of the reaction in such cases is clearly not pathogenetic but dynamic and curative, as many have witnessed. The form of the reaction complies perfectly with the requirements of cure as to order and direction of the disappearance of the symptoms and nature of the result. Quantity alone does not constitute a pathogenetic dose. Quality, proportionality and the susceptibility of the patient are also factors. What would be a large, injurious or perhaps dangerous dose f or- a highly susceptible patient, would have no effect whatever upon one whose power to react was very low by reason of the existence of gross pathological lesions, or of long existent, exhausting chronic disease and much previous treatment. It is solely a question of approximating the quality and quantity of the dose to the grade or plane of the disease, according to the law of similars. If the grade of the disease is low, and the power of reaction low, the remedy must be given low. Thus we find, in such cases, that the symptoms of the patient are usually of a low order; common, pathological symptoms; organ symptoms; gross terminal symptoms; symptoms that correspond to the effects of crude drugs in massive toxic doses. The finer shadings of symptoms belonging to acute conditions, in vigorous sensitive patients, do not appear. Potentiated medicines will not act. The case has passed beyond that stage, and the finer symptoms with it. Yet the symptoms remain and the almost hopeless conditions they rep resent, are still within the scope of the homœopathic law; and they sometimes yield to its power, when the related law of posology is rightly understood and applied. So-called “pathological symptoms,” when they exist alone, are as significant and characteristic in their way and may be as clearly indicative of a remedy, homeopathically, as the earlier, finer grades of symptoms. Whether they are as useful to the homœopathic prescriber or not depends upon the existence of similar symptoms in the Materia Medica. We can only prescribe for symptoms which have a counterpart in the Materia Medica. From the records of poisonings, over-dosing, and some extreme provings, as well as from clinical -experience, we have knowledge of some drugs whose symptoms thus derived, correspond very closely to the class of pathological symptoms under discussion. In the list of such drugs we may find one which fits our case. If that is not possible a study of the early symptoms from the history of the case, if they can be elicited, may lead directly or by analogy, to the remedy needed. When a case has reached a stage where none but gross pathological or organ symptoms are present, it is usually incurable; but it is not necessarily beyond help by medicines homœopathically selected, even if no results follow the use of the ordinary small doses or potentiated medicines. In terminal conditions, therefore, when the patient does not react to well selected remedies, nor to intercurrent reaction remedies given in potentiated form and small doses, resort to the crude drug and increase the dose to the point of reaction. When reasonably sure of the remedy give the tincture, or a low trituration, first in moderate, then in increasing doses until the dosage is found to which the patient will react,, even if it be the “maximum dose” as set down in the books. The “maximum dose” may be the “minimum dose” necessary to bring about reaction sometimes. It takes more power to. drive an automobile up a bill than it does on the level; and if the hill is very steep the driver may have to go backward on the road a ways and take “a running start,” in order to gain momentum enough to carry him up. When he gets to the top of. the hill he can shut off power and coast” down the other side. That is what the homœopathic prescriber has to do sometimes, in the kind of cases under discussion. This does not in the least degree invalidate nor violate the principle of the minimum dose in such cases, The principle of similia as applied in the selection of both remedy and dose is eternally and universally true. It is as true in terminal conditions in chronic diseases marked by gross pathological lesions and symptoms as it is in any other kind of cases. 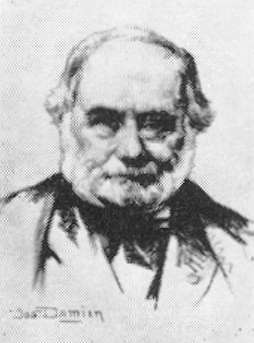 The homœopathic physician fails and falls short of his duty if, at such a crisis, he throws tip his hands and lets his patient die or pass into other hands; or if he weakly yields, abandons the principle of similia and resorts to the routine measures of allopathic practice, based upon theoretical assumptions. Occasionally an allopathic physician is called in who gives so-called physiological doses of some common drug and restores the patient. He merely does what the homœopathic physician should have the discernment and common sense to namely give the drug that is really homeopathic to the case, but give it in the stronger doses required at that stage of the case to excite the curative reaction. He does what the homœopathic physician is perhaps too timid, too ignorant or too prejudiced to do. Result: the allopath gets the honor, the family and the emolument; the homœopath “gets the laugh;” and homœopathy “gets a black eye.” The occasional successes of allopathic physicians in such cases are nearly always accomplished with drugs which are essentially, although crudely, homœopathic. The homœopath who habitually uses high potencies is apt to forget or overlook the fact that a terminal case may reach a point where the symptoms call for material doses because the susceptibility is so low that it will react to no other, but will react to them. Such a case occurred in the practice of the writer. It was a case of valvular heart disease of many years’ standing, which had reached the stage of fibrillation. In a previous crisis it had responded to potentiated medicines. In this instance, however, potentiated medicines, selected with the greatest care, had no effect. An effort was made to arouse the dormant reactivity with intercurrent remedies, also in high potency. Laurocerasus, Carbo vegetabilis, Tuberculinum and Medorrhinum were given, as recommended by homœopathic authorities. All efforts failed and the case rapidly progressed toward dissolution. Tachycardia, arrhythmia, œdema, ascites, hydrothorax, passive congestion of the brain and liver, delirium, suppression of urine and coma foretold the rapid approach of the end. For a period of over three weeks the symptoms had positively and unmistakably demanded Digitalis; but doses ranging from forty thousandth down to drop doses of the tincture produced no favorable change. At this point, by advice of an eminent allopathic specialist who was called in at the request of the family, full doses of a special preparation of Digitalis and a salt-free, liquid-diet were given. Within thirty-six hours the patient was passing over one hundred ounces of urine, in twenty-four hours, brain, lungs and liver rapidly cleared up and the case which had appeared absolutely hopeless progressed steadily to a good recovery. The action of the Digitalis was clearly curative. No pathogenetic symptoms of any kind appeared, for the copious urine was distinctly a curative symptom. Only six doses of the drug were given, at intervals of twelve hours, and it was discontinued as soon as its full therapeutic action was established. About one month later, it was necessary to repeat the medication in smaller doses a few times for a slight return of some of the symptoms, due to over exertion. This patient was not cured in the sense that his structurally damaged heart valves were restored, for that is an impossibility. Put the action of the indicated drug was curative in its nature, as far as it was possible to go, his life was saved and prolonged, and he was restored to a measure of comfort and usefulness, when otherwise he would have died. Digitalis in material doses was homœopathic to his condition, symptomatically and pathologically and no other drug could take its place at that stage of the disease. No other medicine of any kind was given. In contrast to this case, and in further illustration of the necessity for being prepared to use the entire scale of potencies, the following case from the practice of the writer is presented. The, patient was a girl eighteen years of age, in the late stages of incurable heart disease. She had been under allopathic treatment for over a year, steadily growing worse. When first seen by the writer she was confined to a chair unable to lie down or remain in bed. General œdema, ascites and hydrothorax existed. Urine was almost entirely suppressed, only about four ounces being passed in twenty-four hours. Tachycardia and dyspnœa were most distressing and death seemed imminent. The history and anamnesis of her case revealed unmistakable Calcarea symptoms. She was give n a single dose of Calcarea carb., C.M. Fincke. The reaction and response to the remedy was surprising. Within forty-eight hours urine began to be secreted copiously. For several days she passed from one hundred and twenty to one hundred and fifty ounces per day. Dropsy rapidly disappeared and she was soon able to lie down and sleep comfortably. In about four weeks she was able to go out f or a ride in a carriage, and not long after was out walking. She lived thirteen months in comparative comfort and happiness and then died quite suddenly of heart failure, after a slight over exertion. These two cases represent the extremes of therapeutic resources open to the homeopathic practitioner. Susceptibility is Modified by Habit and Environment. [Site note: this is the second section with this title.] People who are accustomed to long and severe labor out-of-doors, who sleep little and whose food is coarse, are less susceptible. Persons exposed to the continual influence of drugs, such as tobacco workers and dealers; distillers and brewers and all connected with the liquor and tobacco trade, druggists, perfumers, chemical workers, etc. often possess little susceptibility to medicines and usually require low potencies in the illnesses, except where their illness is directly caused by some particular drug influence, when a high potency of the same or a similar drug may prove to be the best antidote. Idiots, imbeciles and the deaf and dumb have a low degree of susceptibility, as a rule. “There is no rule without its exceptions” and this is especially true in this matter of the homœopathic doses. Contrary to what one would expect, persons who have taken many crude drugs of allopathic, homœopathic or “bargain-counter” prescription often require high potencies for their cure. Their susceptibility to crude drugs and low potencies has been exhausted and even massive doses seem to have no effect; as where cathartics or anodynes have been used until there is no reaction to them. Such cases will often respond at once to high potencies of the indicated remedy; in fact they often require the high potency as an antidote. The high potency is effective because it acts on virgin soil, invades new territory, as it were. When the old “Chronics” begin to come in to see the New Doctor–“old rounders” upon whom the contents of the drug shops and the medicine cases of his tincture and low potency competitors have been exhausted in vain– “an’ he be wise” he will get out his little high potency case and prescribe from that. The results will surprise them, if it does not surprise him. It should not surprise, him because he has been told before hand. The seat, character, and intensity of the disease has some bearing upon the question of the dose. Certain malignant and rapidly fatal diseases, like cholera, may require material doses or low potencies of the indicated drug. Hahnemann’s famous prescription of Camphor in drop doses of the strong tincture, given every five or ten minutes, with which so many thousands of lives have been saved, is an illustration. Later, after reaction has been established and other remedies, corresponding to the symptoms of later stages of the disease come into view, the higher potencies are required. Generally speaking, diseases characterized by diminished vital action require the lower potencies; while diseases characterized by increased vital action respond better to high potencies; but this again is modified by the temperament and constitution of the patient. Uncomplicated, typical syphilis, in its primary stage, the chancre still being existent, may be cured speedily by Mercury in medium or high potencies, if the patient is of the nervous or sanguine temperament, and especially if he has not already received treatment. If he is of the sluggish type, however, Mercury in the second or third trituration will probably be required. If the patient presents himself later, having already received the conventional large doses of mercury and potash until the characteristic dynamic and pathogenetic symptoms of those drugs have been produced, low potencies will be of no avail. Either susceptibility has been exhausted, or a drug idiosyncrasy has been developed. The drugs must be antidoted and the further treatment carried on by higher potencies. These remarks apply not only to mercury and syphilis but to practically all other diseases and drugs, It is not to be inferred that mercury is the only remedy for syphilis; for in syphilis, as in all other diseases, we must individualize both case and remedy, if we expect to cure our patients. What has been said of the use of higher potencies in cholera, after reaction has been established by camphor tincture, is applicable in many other diseases of malignant character and rapid progress. In the beginning, when torpor or collapse indicate the dangerously low vitality and deficient reaction, a few doses of a low potency may be required until reaction comes about, after which the potency should be changed to–a higher one if it is necessary to repeat the remedy. The question is entirely one of susceptibility. The higher the susceptibility, the higher the potency. We must learn how to judge the degree of susceptibility if we would-be successful as homœopathic prescribers; and this applies not only to the normal susceptibility of the patient as evidenced by his constitution, temperament, etc., but to the varying degrees of his susceptibility as modified by the character and stages of his disease and by previous treatment. At one stage he may need a low potency, as already pointed out, and at another a high potency. The man who confines himself to the use of a single potency, or two or three potencies, be they low or high, is not availing himself of all the measures of his art and will frequently fail to cure. Attempts have been made to lay down rules governing the dose based upon a pathological classification of diseases; as, for example, that the lower preparations should be used in chronic disease with tendency to disorganization of tissues and in acute diseases; or that the high potencies should be used in purely functional and nervous affections; but these classifications are not reliable. They only serve to confuse the mind of the student and distract his attention from the main point, which is to determine the degree of susceptibility of the particular patient at a given time. Thus the whole matter of the dose, like the selection of the remedy, resolves itself into a problem of individualization, which, as a principle, governs all the practical operations of homœopathy. Looking at this subject broadly and having the highest degree of success in view, it is seen that it is as necessary to individualize the dose as it is the remedy, and that the whole scale of potencies must be open to the prescriber. Occasionally a case will be met which is not at all susceptible to the indicated remedy. In such cases the temporary insensibility to medicine may be traced to the previous abuse of medicine, or to an exciting regimen. If time and the exigencies of the case permit, it is sometimes best to cease all medication for a few days and carefully regulate the diet and regimen. Then medication may be resumed, using, according to the temperament and constitution of the patient, either a low or a medium potency. Hahnemann has recommended in such cases, the administration of Opium, in one of the lowest potencies, every eight or twelve hours until some signs of reaction are perceptible. By this means, he says, the susceptibility is increased and new symptoms of the disease are brought to light. Carbo veg., Laurocerasus, Sulphur and Thuja are other remedies suited to such conditions. They sometimes serve to arouse the organism to reaction so that indicated remedies will act. Remedies used in this way are known as “Intercurrents.” The nosodes, Psorinum, Syphilinum, Medorrhinum, Tuberculinum, are also to be remembered in this condition, in cases where the latent diseases represented by these medicines are present, as shown by the existent symptoms or by the history and previous symptoms of the case. A single dose of the appropriate nosode in a moderately high potency, will sometimes clear up a case by bringing symptoms into view which will make, it possible to select the remedy required to carry on the case successfully. Such use of remedies must be based upon a careful examination and study of the history of tile case and not merely upon empirical assumptions. Here, as elsewhere, individualization and the law of similia must guide. Repetition of Doses. – It remains to speak of one more important matter connected with the general subject of Homœopathic Posology-the repetition of the dose. The management of the remedy in regard to potency and dosage is almost as important as the selection of the remedy itself. The selection of the remedy can hardly be said to be finished until the potency and dosage have been decided upon. These three factors, remedy, potency and dosage, are necessarily involved in the operation of prescribing. Not one of them is a matter of indifference and not one of them can be disregarded. The first question which confronts us is whether to give one dose or repeated doses. The second question is, if we give one dose when shall we repeat it? Third, if we give repeated doses, how often shall we repeat the doses and when shall we stop dosing? Many expert prescribers begin the treatment of practically all cases by giving a single dose of the indicated remedy and awaiting reaction. This is an almost ideal method – for expert prescribers. Of course we all expect to become expert prescribers and will therefore accept that as our ideal! Hahnemann’s usual teaching, the outcome of his long, and rich experience, was to give a single dose and await its full action. The wisdom of this teaching has been amply confirmed since his day by many of his followers. The duration of action of a remedy which acts (and no other counts) varies, of course, with the nature and rate of progress of the disease. In a disease of such violence and rapid tendency toward death as cholera, for example, the action of the indicated remedy might be exhausted in five or ten minutes and another dose be required at the end of that time. In a slowly progressing chronic disease, like tuberculosis, the action of a dose of a curative remedy might continue for two or three months. Between these two extremes are all degrees of variation. The only rule which can be laid down with safety is to repeat the dose only when improvement ceases. Toallow a dose, or a remedy, to act as long as the improvement produced by it is sustained, is good practice; but to attempt to fix arbitrary limits to the action of medicine, as some have done, is contrary to, experience. Young practitioners and many old ones too, for that matter, give too many doses, repeat too frequently, change remedies too often. They give no time for reaction. They get doubtful, or hurried, or careless and presently they get “rattled” if the case is serious. Then it is “all up with them,” until or unless they come to their senses and correct their mistakes. Sometimes such mistakes cannot be corrected and a patient pays the penalty with his life. It pays to be careful and “go slow” in the beginning; then there will not be so many mistakes to correct. We should examine our case carefully and systematically, select our first remedy and potency with care, give our first dose, if the single dose is decided upon and then watch results. If the remedy and dose are right there will be results. We need have no doubt on that score. The indicated remedy and potency, even in a single dose cannot be given without some result and the result must be good. Generally speaking, it may be taken for granted that if there is no perceptible result after a reasonable time, depending upon the nature of the case, either the remedy or the potency was wrong. One of the most difficult things is to learn to wait. Three things are necessary: wisdom, courage and patience. “Strong doses” and frequent repetition will not avail if the remedy is not right. In the long note to Par. 246, however, which should be carefully studied, Hahnemann qualifies this statement and indicates the circumstances under which it is advisable to repeat the doses of the same remedy, using the action of Sulphur in chronic diseases as an illustration. In Pars. 247-8, Hahnemann says: “These periods” (marked by the repetition of doses) “are always to be determined by the more or less acute course of the disease and by the nature of the remedy employed. The dose of the same medicine is to be repeated several times, if necessary, but only until recovery ensues, or until the remedy ceases to produce improvement; at that period the remainder of the disease, having suffered a change in its group of symptoms, requires another homœopathic medicine.” Study also Pars. 249-252. The single dose of the indicated remedy, repeated whenever improvement ceases, as long as new or changed symptoms do not indicate a change of remedy, is adapted to all cases, but especially to chronic cases and to such acute cases as can be seen frequently and watched closely. The nature and progress of the disease will determine under this rule, how often the dose is to be repeated. Cases may present themselves, however, which cannot be watched as closely as we would like. We may not be able to visit the patient frequently, nor remain with him long enough to observe the full period of remedial action. In such cases it is permissible and indeed necessary, to order a repetition of doses at stated intervals of one, two, or three hours, until improvement is felt or seen, or perhaps until our next visit. In such cases it is well to direct that the medicine be stopped as soon as the patient is better, giving some simple instruction to the nurse as to what constitutes a reliable sign of improvement, according to the nature of the case. If a patient is so gravely ill as to require doses at intervals of less than one hour it is the physician’s duty to remain with the patient and judge of his condition and progress for himself, unless he is absolutely sure of the remedy, or is in telephonic communication with the case. Effect of the Remedy. – The next point to be considered under the general subject of Homeopathic Posology is: The Effect of the Remedy. After we have selected what we believe to be the indicated remedy and administered it in proper potency and dosage, it is our duty to observe the patient carefully in order that we may correctly note and intelligently interpret the changes that occur; for upon these changes in the patient’s condition, as revealed by the symptoms, depend our subsequent action in the further treatment of the case. The first thing to be determined is whether the remedy has acted at all or not. If it has not acted, we have next to determine whether the failure to act is due to an error in the selection of the remedy, or to the selection of the wrong potency of the remedy. If in carefully reviewing our symptom-record, we find the remedy rightly chosen, we change the potency to a higher or lower potency, as circumstances may require, after a reconsideration of the patient’s degree of susceptibility. In deciding the question whether the remedy has acted or not, we must be careful not to be misled by the opinions or prejudices of the patient or his attendants. Some patients, having all their interest and attention centered upon some particular symptom which they regard as all-important, will assert that there has been no change’; that they are no better, or even worse than they were before they took the remedy. These statements should be received with great caution and we should proceed to go over the symptom record item by item with care. We need not antagonize the patient by gruffly asserting that he must be mistaken, but may express our regret or sympathy and then quietly question him as, to each particular symptom. We will frequently find that the patient has really improved in many important respects, although his pet symptom (often constipation) is as yet unchanged. The action of a remedy is shown by changes in the symptoms of the patie. Upon the character of those changes depends our further course of action. A remedy shows its action, 1. by producing new symptoms; 2. by the disappearance of symptoms; 3. by the increase or aggravation of symptoms; 4. by the amelioration of symptoms; 5. by a change in the order and direction of symptoms. 1. An improperly chosen remedy may change the condition of an oversensitive patient by producing new symptoms not related to the disease and detrimental to his welfare. These are pathogenetic symptoms. Their appearance indicates that the remedy is not curing the patient, but merely making a proving. Discontinuance and an antidote is demanded. 2. A correctly, chosen remedy given in too low or sometimes too high a potency, or in too many doses, may cause an aggravation of the existing symptoms so severe as to endanger the life of the patient; especially if the patient be a child or a sensitive person and if a vital organ, like the brain or lungs be affected. Belladonna in the third or sixth potency, given in too frequent doses in a case of meningitis, for example, may cause death from overaction; whereas the thirtieth or two hundredth potency given in a single dose, or in doses repeated only until some change of symptoms is noticed, will speedily cure. Phosphorus 3rd or 6th in pneumonia under similar circumstances may rapidly cause death. The low potencies of deeply acting medicines are dangerous in such cases in proportion to their similarity to the symptoms. 3. A slight aggravation or intensification of the symptoms, appearing quickly after giving the remedy and soon passing away is a good sign. It calls for a suspension of medication until the after-following improvement ceases or the symptoms change again. It is the first and best evidence of the curative action of a well chosen remedy. 4. A prolonged aggravation without amelioration and with progressive decline of the patient is sometimes seen in chronic, deep seated disease as a result of the over-action of a deeply acting anti-psoric or anti-syphilitic medicine, given in too high a potency in the beginning of treatment. If the potency is too high its action may be too deep and far-reaching, and the reaction too great for the weakened vital power to carry on. Such remedies as Sulphur, Calcarea, Mercury, Arsenic and Phosphorus, given in the 50 M. or C.M., potencies, have sometimes hastened tubercular or tertiary syphilitic cases into the grave. In beginning treatment of suspicious or possibly incurable cases it is better to use medium potencies, like the 30th or 200th and go higher gradually, if necessary, as treatment progresses and the patient improves. Very high potencies of the closely similar remedy are merciless searchers-out of hidden things. They will sometimes bring to light a veritable avalanche of symptoms which overwhelms the weakened patient. The disease has gone too far for such radical probing. If the disease has not gone so far, a long and severe aggravation may fortunately be followed by slow improvement. That patient was on the “borderland,” with the beginning of serious destructive change in some vital organ. In these homeopathic reactions and aggravations we distinguish between changes occurring in vital organs and changes in superficial tissues and non-vital organs. When old skin eruptions reappear, old ulcers break out again, old fistulæ re-open, old discharges flow again, swollen tubercular glands become inflamed, break down and suppurate away; old joint pains return; the patient’s heart, lung, kidney, liver, spleen or brain symptoms in the meantime improving; then we know that both remedy and dose were right and a true cure is in progress. But if we find superficial symptoms disappearing and vital organs showing signs of advancing disease, we know we have failed. The direction of cure is from within outward, from above downward and in the reverse order of the appearance of the symptoms. By this test we may always know whether we are curing or only palliating a disease. The last appearing symptoms of a disease should be the first to disappear under the action of a curative remedy, In sub-acute and chronic diseases it is not unusual for preceding groups of symptoms to successively reappear as the later symptoms subside and cure progresses. This orderly change of symptoms should never be interfered with by repetition of doses nor change of remedy, so long as it continues. When improvement ceases or old symptoms reappear and remain without change it is time to repeat the dose. 5. The change following the administration of a remedy may be a quick, short amelioration followed by a relapse to the original or a worse condition. This may be because the remedy was only partly similar, or insufficient as to dosage; but where this occurrence is observed several times in succession and lasting improvement does not follow carefully selected remedies, it means that the case is incurable. There is not vitality enough to sustain a curative reaction, and dissolution is, imminent. 6. In functional diseases, or in the beginning of acute organic diseases, accompanied perhaps by severe pain, the administration of the appropriate dose of the indicated remedy may be followed by rapid disappearance of symptoms without any aggravation. This is a cure of the most satisfactory kind, pleasing alike to physician and patient. Remedy and potency were both exactly right. The Law of Dosage. – Summing up the matter, it appears that the law of dosage is contained in the law of similars, or the law of equivalents, both of which expressions are merely paraphrases of the law of Mutual Action, otherwise known as Newton’s third law of motion. The law might be stated thus: The curative dose, like the remedy, must be similar in quantity and quality to the dose of the morbific agent which caused the disease. At first sight, it might be objected that this leaves us as much in the dark as before, inasmuch as it does not indicate how we are to measure the amount of force of the morbid cause. But a little consideration will show that it does help us, because it suggests that a measure may be found. Perhaps a measure has been found. Let us see if this be not so. Grauvogl is careful to warn us that we must not be misled into considering the quality of the external morbid cause as the measure of the dose, because the qualities of an external morbid agent, acting within the organism cannot be judged by quantities. A quantity or dose of a morbid substance so small as to be invisible, or imperceptible in any way except by its effects, might set up an action of such violent character in quality as to lead us to think the quantity must have been great. Under such ‘circumstances the tendency and temptation is to give a remedy in doses the size and power of which correspond to our imagined dose of the morbid cause. In fact this is what is being done all the time, to the great injury of the human race. What violent and destructive actions are set up by the introduction into a wound of an infinitesimal quantity of septic matter from an imperfectly sterilized instrument! or by a single microscopic morbid cell or germ; or more remarkable still, by the influence of sudden violent emotion, purely mental and intangible as to quantity! How then are we to measure these quantities? The law of similars or equivalent actions reveals the answer, and mechanical potentiation according to scale gives the unit of measurement. The result is obtained by simply reversing our rule of similars. The real and efficient quantity of the morbid cause necessary to produce the disease cannot be greater than the quantity of the medicine necessary to cure it! This conception, as a logical conclusion, enables us to put the matter upon an experimental basis and draw further conclusions as to the size of the dose. In this way we may test our low potencies, medium potencies, and high potencies, intelligently and logically. Chemistry has given the clue to the mode of procedure in such cases, in its mode of determining the unit of measurement. Chemistry has established, with all the precision of a natural law, what quantity of acid, for example, is necessary to neutralize and saturate a given quantity of alkali. The principle has thus been established in the abstract, but in a given case where the principle has to be, practically applied, the chemist, like the homœopathic prescriber, must individualize, because he has often to deal with an unknown and indeterminate quantity. 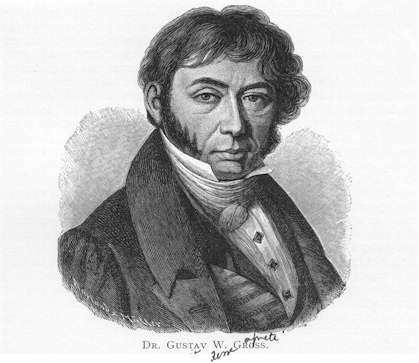 Grauvogl illustrates it in this way: “No chemist,” he says, “who wishes to ascertain how much potash a certain spring contains, would proceed as if he might assume a given quantity of potash empirically or traditionally, and forthwith add the quantity of acid corresponding thereto, necessary for saturation, to the given quantity of the mineral water; for, to say nothing about such a process as disregarding all the laws of the art of experiment, he must consider that, in dry seasons, all mineral waters are relatively richer in solid constituents than in wet seasons. Precisely after the same rules of the art of experiment might we proceed to find the dose in any particular case of disease. It may be said, however, that in subsequent examinations, the results of the first experiment might give a general point of departure from which an approximate determination of the necessary amount in similar cases, could be had. Thus we might approximately determine, from a successful experiment with a certain potency of a remedy in a certain type of individual afflicted with a certain type of disease, the general value of that potency in its relation to similar conditions. Actual experiments of this kind often upset preconceived notions, but the scientific man is always ready to bow to the logic of experience. I was taught, for example, that “low potencies acted best in acute diseases.” I accepted that generalization and acted upon it for some time before I discovered that it was altogether too broad, if not entirely false. It was not long before I witnessed a cure of an acute disease by a two hundredth potency so rapid and brilliant that I was encouraged to put it to the test myself. I succeeded in a number of cases and then I failed in a certain case. When I reflected upon the exception and sought for a reason why the high potency had acted in ten similar cases and failed in one, I found it in the grosser type of the individual and his lower degree of susceptibility, as well as in the lower grade of his disease process. He required a grosser, more material, lower form of a remedy to cure him. I was taught also that infants and aged persons, being of low vitality and feeble reactive powers, required low potencies for their cure. Again I found that the generalization was altogether too broad; for I have cured the most desperate cases of croup, diphtheria, cholera infantum, etc., with a few doses of a high potency after they have been given up to die by those who had been prescribing tinctures and low potencies without avail; and I have seen as brilliant curative effects of high potencies in the aged as in the young, when both the remedy and the potency were indicated. Again we must individualize. Low potencies will not cure all acute diseases, all infants, nor all aged persons. Nor will high potencies cure all forms of disease in all persons. All potencies are required for the cure of disease, and any potency may be required in any given case. 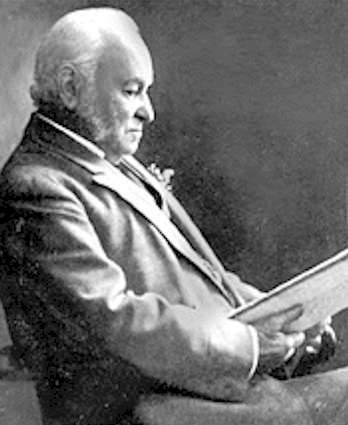 REad more at Chapter XIII – Homoeopathic Posology – The Genius of Homeopathy – Lectures and Essays on Homeopathic Philosophy – By Dr Stuart M. CLOSE.